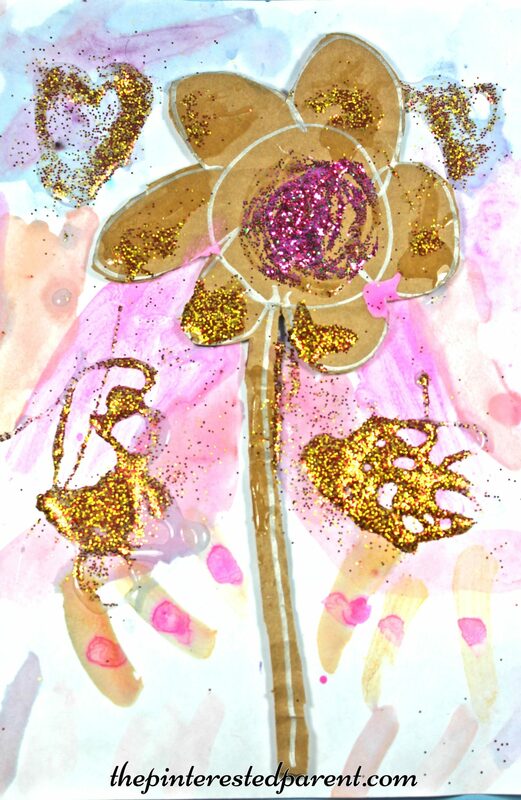 I adore my daughter’s creativity. 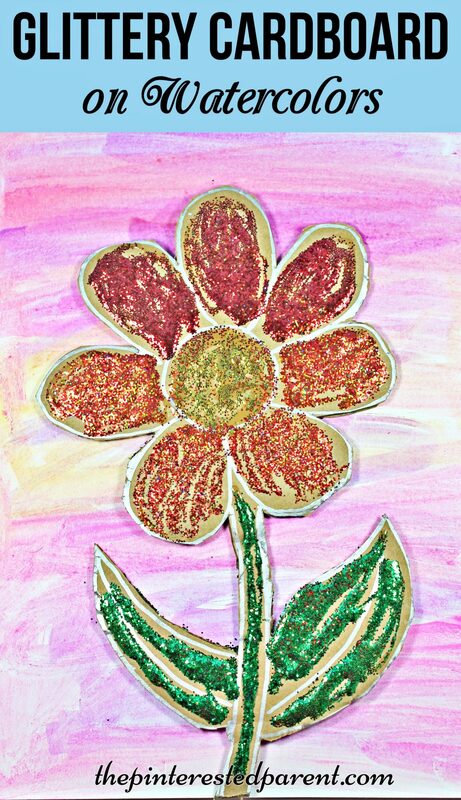 We have been doing arts and crafts together for a very long time & I have watched her creativity soar. 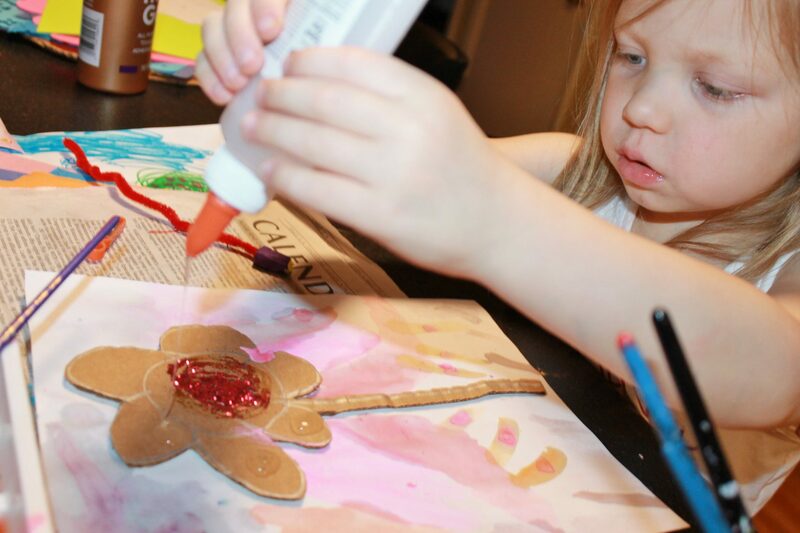 This next craft was all a product of my little girl’s crafty little mind. I loved it so much that I had to share. 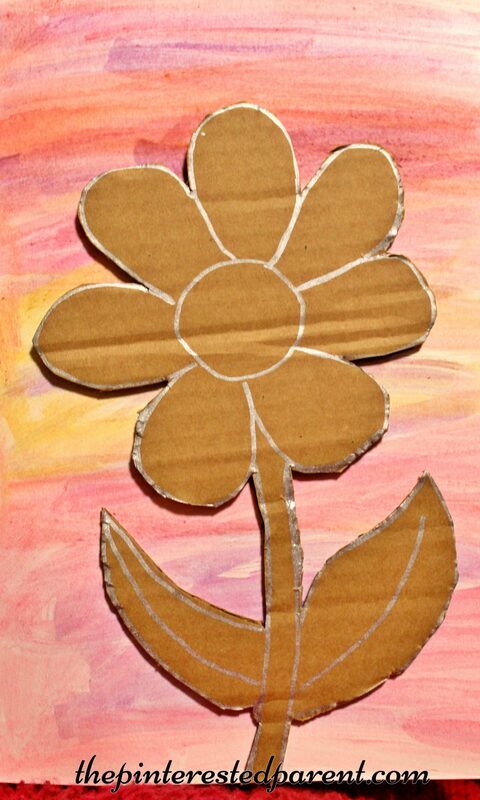 We use a lot of cardboard for arts & crafts projects and have tons of scrap pieces. 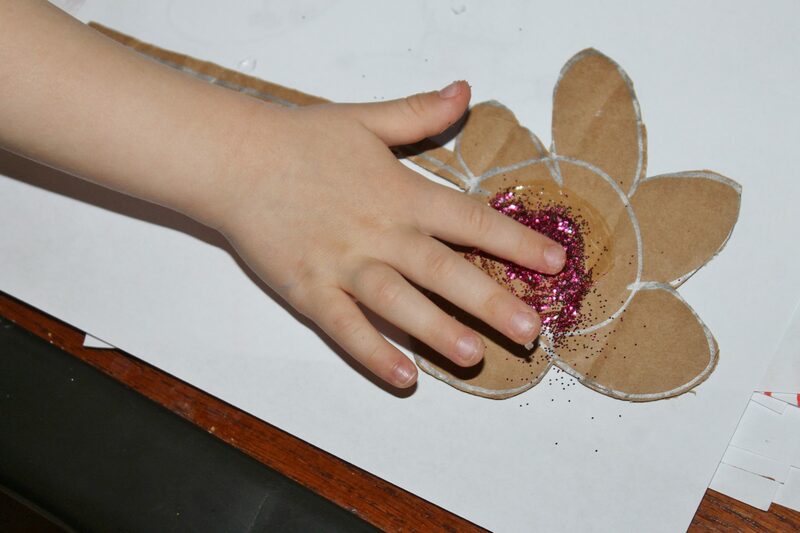 She grabbed one of the pieces of cardboard and drew a flower on it. She asked me if I could cut it out for her. I cut it out and she quickly ran & got a glue stick and a piece of paper. 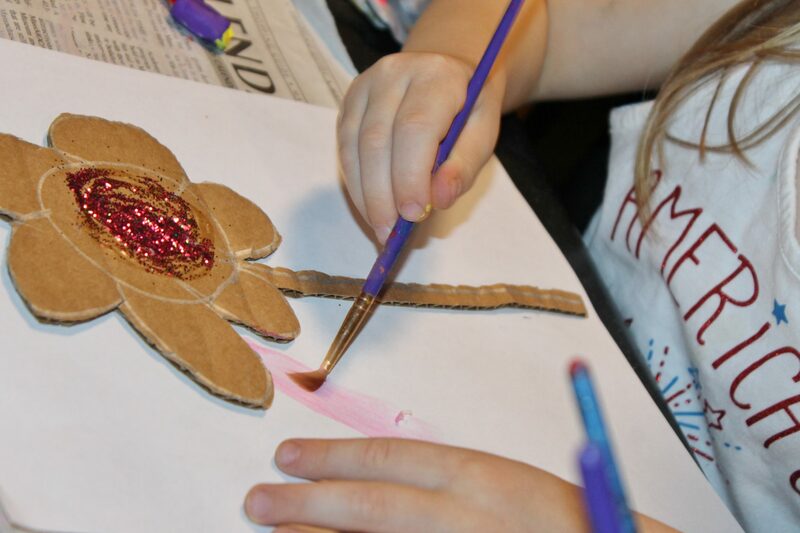 She glued her cardboard flower to the paper. 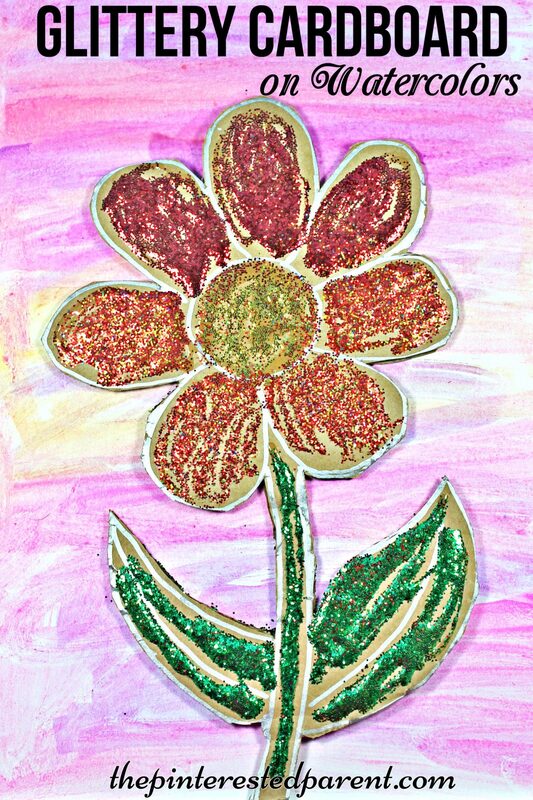 She grabbed a bottle of squeeze glue and glitter and spread the glue & glitter over her flower. 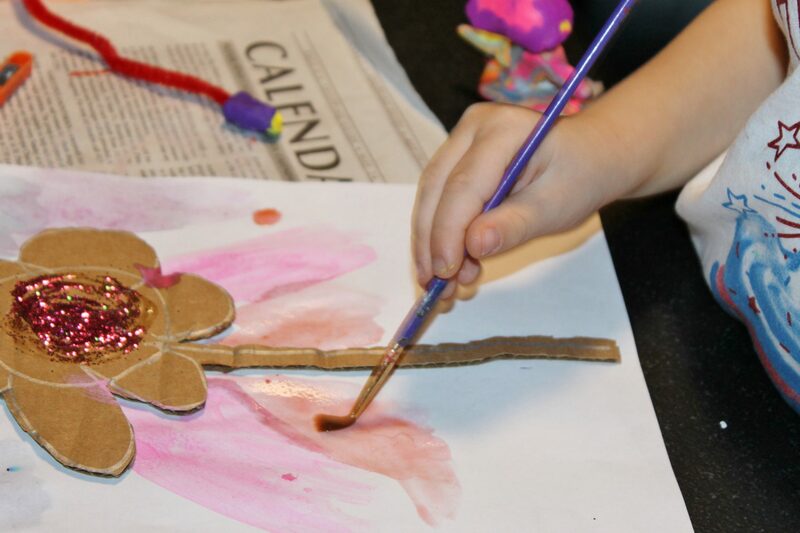 She painted her paper in watercolors & explained to me that it was a magical fairy flower. 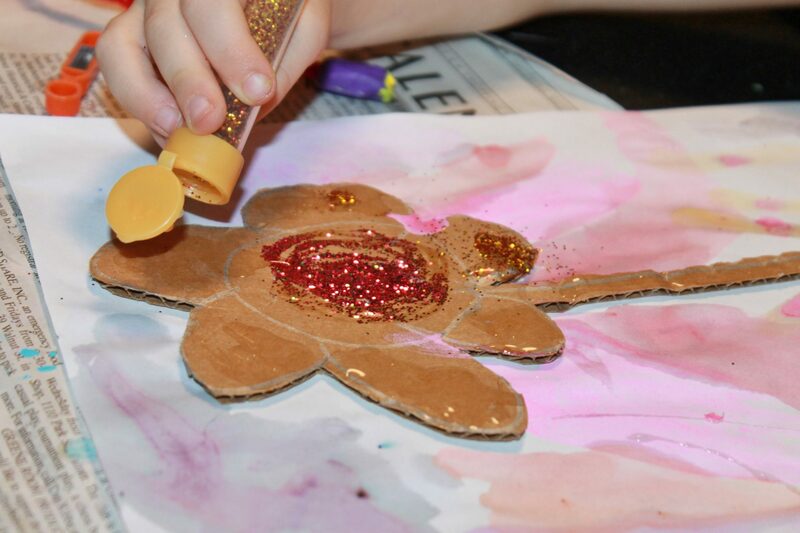 She added some more glue & glitter. I loved her finished project. It really did look magical. She inspired me to make one of my own.